The lazy hazy days of summer are upon Okinawa, amplified by heat and humidity, leaving everyone searching for ways to cool off and keep their minds away from the rising temperatures. The Hansen Festival coming up this weekend is the solution for everything, says Marine Corps Community Services. The festivities aimed at fostering closer friendships with the local communities take place Saturday and Sunday at the Camp Hansen Parade Deck. Saturday’s festivities kick off at 3 p.m., running until 10 p.m. The fun begins Sunday at 1 p.m., again running until 10 p.m. The event is open to the public, island wide, and MCCS says there’s something for everyone, including cultural foods, game booths, amusement rides, Kiddie Land, and plenty of free entertainment. For those wanting to be more than spectators, there’ll be a few sporting events including an Open Bench Press Competition and a free Open Arm Wrestling Competition on Saturday and a Sprint Relay on Sunday. For many, though, it’s the music. 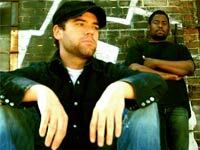 The acoustic hip hop soul of Scratch Track headlines the entertainment slate at the Hansen Festival. Scratch Track, which has joined artists such as Will Hoge, George Clinton & Parliament Funkadelic, Living Colour, Erykah Badu, Twista, Jurassic 5, DJ Skribble, Soulive and Jars of Clay, has been described as a group with a bit of fusion from Digible Palents and Jack Johnson, to Outkast or the Neptunes with a bit more guitar and beat boxing thrown in. Registration for the sports activities are still open. Bench press and arm wrestling competition registrations are open through tomorrow, as is entry for Sunday’s sprint relay at the Hansen House of Pain Gym. Officials say late registrations will be accepted the day of the events. The entry fee for the bench press competition is $10, or $15 for late registration. The Sprint Relay entry fee is $25, or $30 the day of the competition. United Airlines and Omega World Travel, two of the festival’s principal sponsors, are again offering a chance to win tickets to any of United Airlines gateway cities—including San Francisco, Seattle, Los Angeles, Washington D.C., Chicago or Honolulu—via Kansai, Nagoya or Narita Airports. They’ll also be offering one cabin/one class seating upgrades. Daiko service will be available at Hansen Festival to insure everyone arrives home safely. MCCS reminds festival goers that no pets, outside alcohol, bottles or coolers are permitted. Additional festival information is available from MCCS Special Events, DSN 645-5828, or MCCS Consumer Relations at DSN 645-2628.